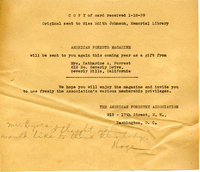 American Forests Magazine will be sent as a gift from Mrs. Katharine A. Forrest. 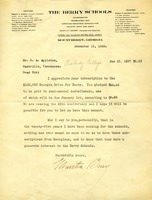 Form specifies a subscription for $150. 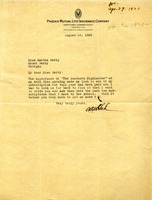 Hinton encloses a $25 check keeping with his subscription at this time of year. 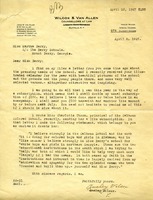 Letter to Martha Berry from A.A. Welch informing her that he received a copy of the Southern Highlander and it made him wonder when he last paid his subscription and wonders if Miss Berry might be able to tell them. 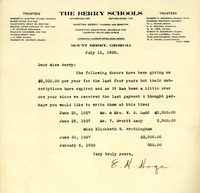 Miss Caroline Hazard sends $100 as a special subscription for the work of The Berry Schools. 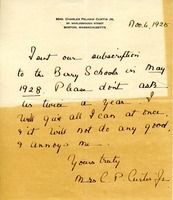 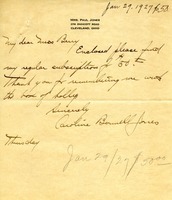 Letter to The Berry Schools from Mrs. Charles Pelham Curtis Jr.
Mrs. Curtis writes that she has paid a full subscription in May so she asks them not to ask her for one twice a year because it annoys her and it won't do any good. 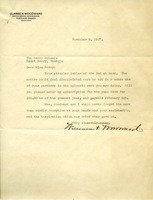 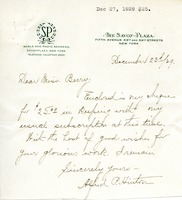 A letter thanking Mr. Appleton for the subscription of $25.00 to be paid in semi-annual installments. 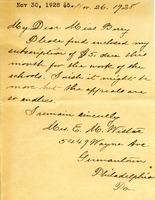 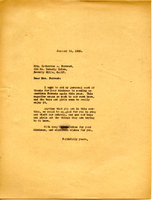 Mrs. Jones writes to Martha with her subscription towards the Berry School.